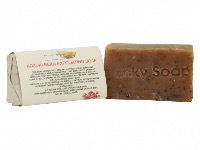 THIS SOAP IS MADE WITH GROUND JAPANESE ADZUKI BEANS AND COCONUT MILK. 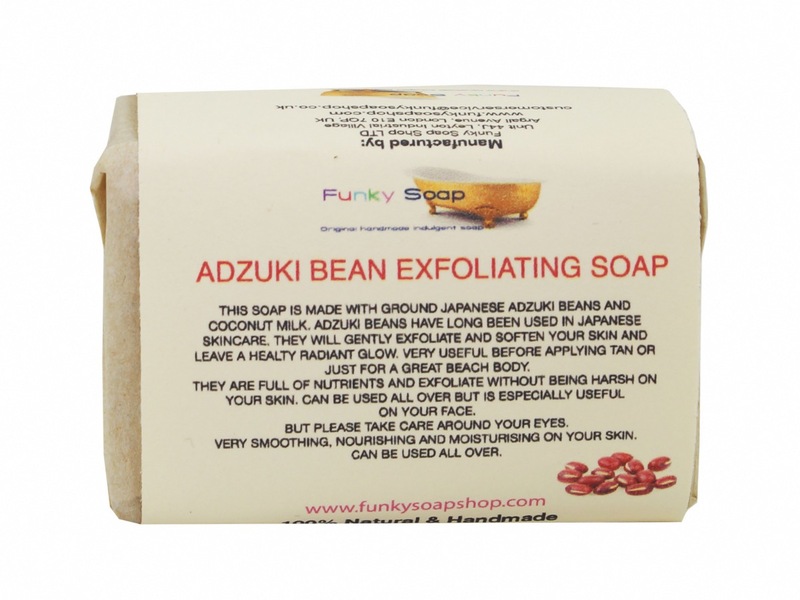 ADZUKI BEANS HAVE LONG BEEN USED IN JAPANESE SKINCARE. 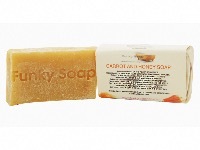 THEY WILL GENTLY EXFOLIATE AND SOFTEN YOUR SKIN AND LEAVE A HEALTY RADIANT GLOW. VERY USEFUL BEFORE APPLYING TAN OR JUST FOR A GREAT BEACH BODY. THEY ARE FULL OF NUTRIENTS AND EXFOLIATE WITHOUT BEING HARSH ON YOUR SKIN. CAN BE USED ALL OVER BUT IS ESPECIALLY USEFUL ON YOUR FACE. BUT PLEASE TAKE CARE AROUND YOUR EYES. 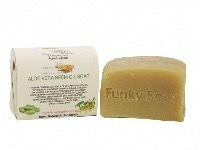 VERY SMOOTHING, NOURISHING AND MOISTURISING ON YOUR SKIN.CAN BE USED ALL OVER. SODIUM OLIVATE (OLIVE OIL), SODIUM RAPESSEDATE (RAPESEED OIL),AQUA, SODIUM PALMATE (CERTIFIED SUSTAINABLE PALM OIL), GLYCERINE, SODIUM GRAPESEEDATE (GRAPESEED OIL), SODIUM WHEATGERMATE (WHEATGERM OIL), SODIUM COCOA BUTTERATE (COCOA BUTTER) ,GROUND ADZUKI BEANS, LITSEA CUBEA OIL (MAY CHANG), CIRTUS LIMONUM OIL (LEMON), LAVENDULA ANGUSTIFOLIA OIL (LAVENDER)ROSMARINUS OFFICINALIS OIL (ROSEMARY), RED CLAY LIMONENE, LINALOOL, CITRAL, GERANLOL, CITRONELLOL (Within the essential oils).